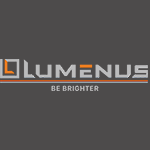 Lumenus is pioneering the future of smart-clothing., and helping the world #BeBrighter. Lumenus is revolutionizing safety by connecting apparel and accessories to the Internet of Things. By adding intelligence to these systems they are now part of the larger ecosystem and can help both consumer and industrial safety, accountability, and awareness–all while creating a litany of new data points and analytics. The system is designed using a “ZeroUI” approach–meaning that the system works autonomously without the need for continued interaction. A ‘set it and forget it’ system works easily with all users, without requiring them to change their habits.